Heading to the 2016 American Society of Landscape Architects (ASLA) Meeting and Expo Oct. 21–24 in New Orleans? The SITES® rating system will be featured throughout the conference, and members of the team will be available to answer your questions. 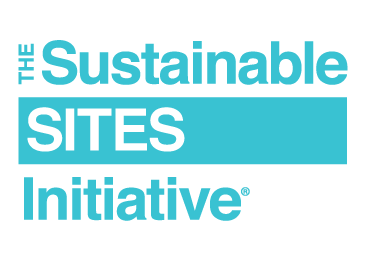 Visit the SITES booth (#1060) on the expo floor to speak with our subject matter experts about the SITES AP, register a project, learn about how SITES and LEED® can be used in tandem and hear exciting developments about the rating system! Drop off your business card at the booth to enter to win a free SITES AP exam testing opportunity (a $400 value). The raffle will take place on Sunday, Oct. 23 at 5 p.m. at the booth. Get started by exploring the SITES prerequisite checklist early in the planning phase of a project. Experience the submittal process with real examples from SITES experts. Examine some of the actual challenges faced with certified pilot projects and navigate solving them. Workshop attendees will be able to develop strategies for engaging clients early in the design discussion and make the case for SITES certification. Micah Silvey, Director of Certification, GBCI, and Jamie Statter, VP of Strategic Relationships, GBCI, will be presenting on SITES and available to answer any of your questions. Network with other colleagues and discuss recent developments in sustainable design and development. This session examines how early integration of sustainable design decisions for hydrology, soil and vegetation with operations and maintenance plans can improve performance outcomes, cost effectiveness and educational opportunities and marketability, while satisfying SITES credits. Join representatives from GBCI to hear about how SITES can provide a unique opportunity for the landscape architecture community to lead the way on sustainability. Hear about the recently launched SITES AP program.